Man punches service dog and pregnant deaf owner on flight cause dog ‘took up too much room’. 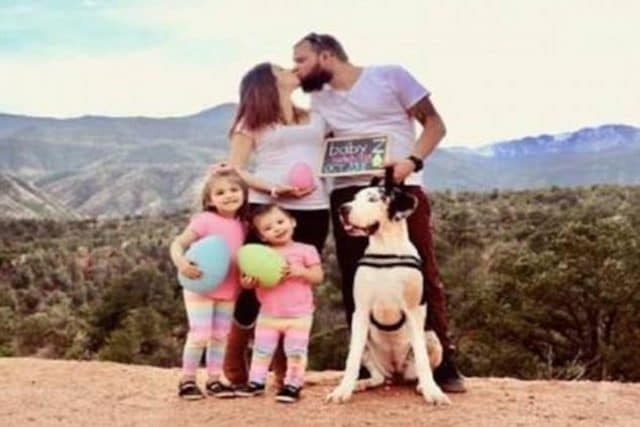 Pictured Colorado Springs deaf couple Hazel Ramirez and Matthew Silvay with their two daughters and their 'Great Dane' service dog. Pictured Colorado Springs deaf couple Hazel Ramirez and Matthew Silvay with their two daughters and their ‘Great Dane’ service dog. Hazel Ramirez a pregnant and deaf woman alleges being punched in the stomach by a fellow traveler after taking exception to her Great Dane service dog. How big is too big? A deaf and pregnant traveler has alleged being punched in the stomach during a flight en route to Orlando by a fellow passenger after taking exception to her service dog. News 6 reported 20 weeks pregnant woman, Hazel Ramirez, 21 traveling with her service dog and her family from Colorado Springs when the ‘incident’ took place inside a Frontier jet. According to police, the suspect, Florida man, Timothy Manley complained of the service dog taking up ‘too much room,’ leading to him allegedly punching the dog. The dog then retreated and hid under a seat. Matters escalated when Ramirez took exception and ‘started yelling’ at Manley, with the pair arguing as the plane descended and landed. 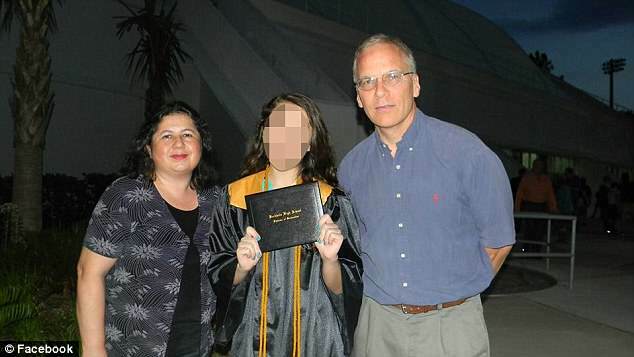 While the plane taxied, Ramirez says she was punched in the stomach by Manley as he attempted to flee. The incident happened while Ramirez was traveling with her deaf husband, Matthew Silvay, 30 and their two children from Colorado Springs. The family had come to Orlando to reveal the gender of their new baby to relatives. The pregnant woman told the Orlando Sentinel her service dog, Zariel had slept through the majority of the flight before waking up when the flight landed and stretching, which led to Manley ‘pouncing’ on the dog. Following being assaulted in turn, Ramirez said her husband tackled Manley to stop him from escaping. She plans to press charges and testify against Manley in court. Not clear is how the jet which boarded the passengers took to seating Ramirez and what some wonder the over-sized service dog and whether the family ought to have been afforded their own area. Or at the very least make provisions in the event passengers felt being ‘put’ out by the large animal on the plane. The Federal Bureau of Investigation has since taken over the case. 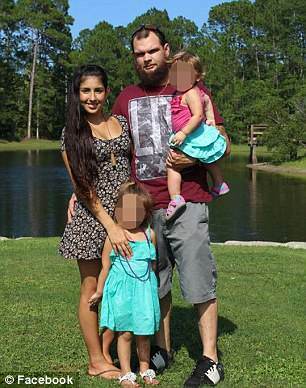 Pictured, Timothy Manley with his wife, Petrini Manle who complained of being allergic to dogs. 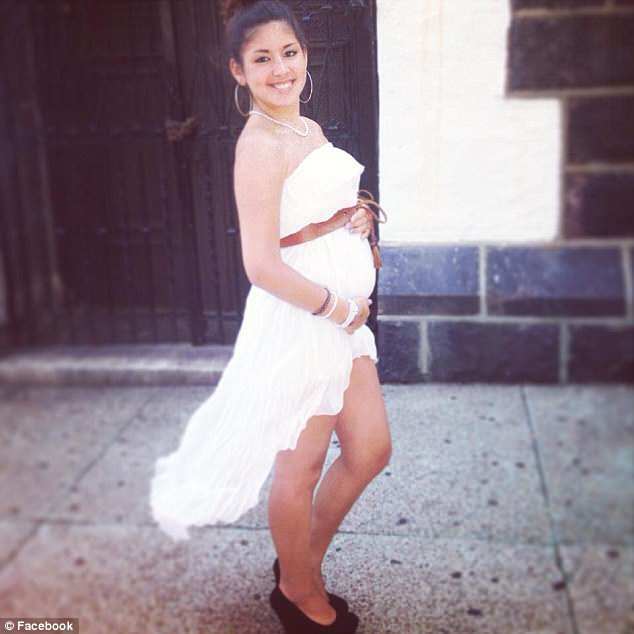 Pictured deaf and pregnant woman, Hazel Ramirez who alleges being punched in the stomach by Timothy Manley. Pictured Colorado Springs deaf couple Hazel Ramirez and Matthew Silvay with their two daughters.